So…a few weeks back we had a new LE friend of ours stop by the range and want to work pistols. It turned out he had a qual coming up and wanted to up his game. A cop wants to train on his own time? With his own ammo? At my convenience? Great! I’m there. And guess what? I provided all the ammo at no cost and worked with him most of the day. He didn’t know that until he ran out of ammo. So what does that story have to do with photo? Simple. It became apparent I needed to dial him in on some fine-tune work. Fundamentals. But The Pit it was really setup for the state qual standards. No worries! A little spray-paint combined with a timer and it’s party like a rock-star time. Later on, his did very well on his PD qual. Even though his front sight fell off on stage 5 at 25 yards. But he’d earned enough points on previous stages to still place well. He was happy. I was happy for him. 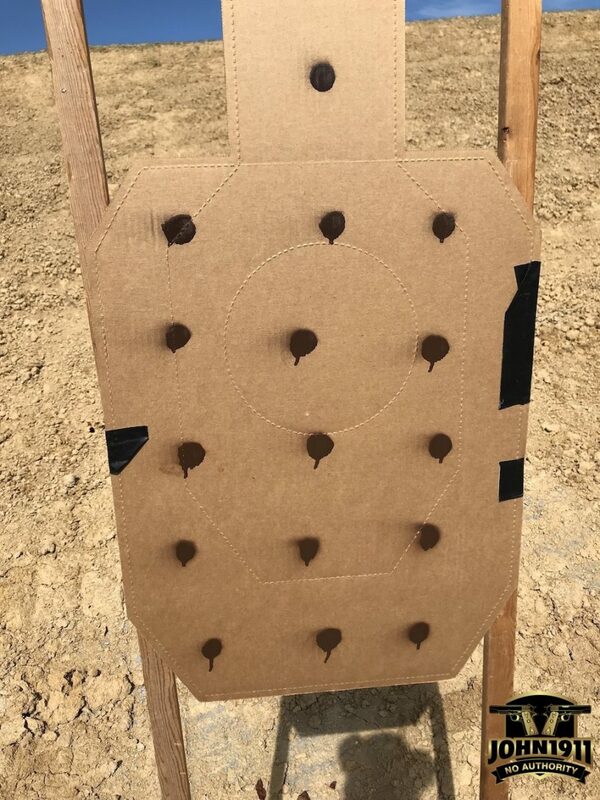 And with great relief, by shooting all these dots, I discovered his Glock 17’s front sight was probably NEVER loctited. For those curious…it was either a GEN 1 or GEN 2 Glock he bought new many years ago. Let that marinate for a minute. Better to figure it out in training then during a real emergency. I am actually awash with relief just typing these words. Whew! Most gun problems are solved by consciously shooting more. I didn’t say blasting or mag-dumps. Read shooting more as deliberately or with purpose.